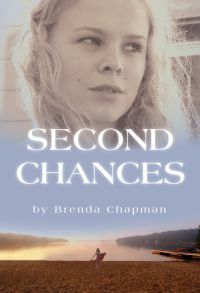 One summer can change everything.… It's the summer of 1971, and 15-year-old Darlene travels with her mother to cottage country. This year her wild cousin, Elizabeth, is staying with them in the hopes that time away from Toronto will straighten her out — but Elizabeth has other plans. She makes it her summer mission to torment Darlene by manipulating her friends and seducing every eligible male in her path. Meanwhile, Darlene is captivated by the mysterious strangers who rent the cottage down the road, particularly free-spirited Candy, who tells stories of traipsing across the United States with rock stars. Darlene also befriends a reclusive journalist who will stop at nothing to pen the anti-war story that wins a Nobel Prize. She, too, secretly dreams of becoming a writer, but knows that her controlling father will never allow it.